ISO Approved Supplier & Exporter of Seamless & Welded Stainless Steel 304 Pipes & Tubes. Stainless Steel 304 Pipe, 304 Stainless Steel Pipe, Stainless Steel 304 Seamless Pipes, Stainless Steel 304 Welded Pipes, SS 304 Pipe, Stainless Steel 304 Tube, UNS S30400 Tube, DIN 1.4301 Tube, Inox 304 Tube, SS 304 Seamless Tubing, Inox 304 Pipe, Stainless Steel 304 Tube, Seamless Austenitic Stainless Steel TP 304 Tubes, Stainless Steel 304 Tubing, 304 SS Tube Supplier in Mumbai, India. 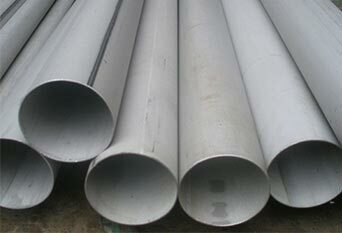 Piyush Steel is a leading manufacturer and exporter of Stainless Steel TP 304 Pipes. We concentrate our strength in supplying and manufacturing these SS 304 Tubes in both standard and non-standard sizes. Based on wide-ranging conditions of diverse mixed industries, these Stainless Steel UNS S30400 Pipes and Tubes are provided in a combination of good thickness, width, length, and surface finish. The most extensively used of the heat resisting and stainless steels, Alloy 304 Pipes offers unsurpassed decomposition discrepancy to lots of industrial environment and chemical corrodents. Alloy 304 Tubes have an exceptionally superior formability and can be welded in the course of good grace by all standard means. 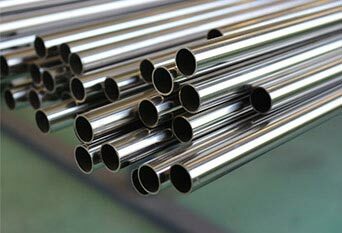 Stainless Steel Din 1.4301 Tubing is an austenitic alloy that contains both chromium (usually 18%) and nickel (usually 8%) metals as the main non-iron constituents. AISI 304 Pipes has a high resistance to rust. 304 Stainless Steel Tubes withstands corrosion from most oxidizing acids and is often used for kitchen and food applications. AISI 304 Tubes is a variation of the basic 18-8 grade, AISI 302, with a higher chromium and lower carbon content. Buy ASTM A312 TP304 Stainless Steel Pipes at reasonable cost from us. ASTM A312 SS TP 304 Pipes, TP304 Stainless Steel Seamless Pipe Dealer, SS UNS S30400 Pipes, ASTM A213 Stainless Steel TP304 Seamless Tubing, UNS S30400 Pipe, DIN 1.4301 Pipe, Inox 304 Pipe, SS Werkstoff nr. 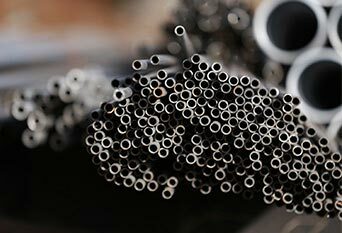 1.4301 Welded Pipes, ASTM A358 TP 304 EFW Pipes, ASTM A249 TP 304 Welded Tubes, SS 304 Tubing Manufacturer in India. Leading Stockists and Exporter of Stainless Steel TP 304 Seamless Pipes, Stainless Steel ASME SA312 TP 304 Pipes Dealer, TP 304 SS ERW Pipes, 304 Stainless Steel EFW Tubing Stock Holder, ASTM A269 Seamless and Welded Austenitic Stainless Steel 304 Tubing, SUS 304 Stainless Steel Pipes, SUS 304 Tube. SS 303 : Superior machinability required, and the formability, weldability and inferior corrosion resistance are suitable. SS 321 : Improved resistance to temp of about 600-900 Degree C is required, where it has greater hot strength. SUS 304 Pipes is used in all commercial, domestic and industrial fields for the reason that of its excellent corrosion and heat resisting qualities. Some applications of SUS 304 Tubes include: Tanks and containers for a huge array of solids and liquids, process machinery in the chemical, cryogenic, mining, food, pharmaceutical and dairy industries. 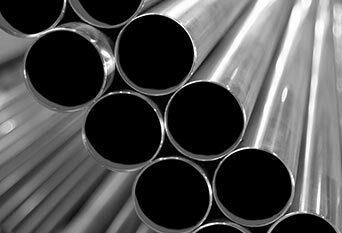 We Supply SS 304 Pipes & Tubes of various origin’s and companies like Nippon Steel & Sumitomo Metal, Sandvik, Sanyo Special Steel, Kobe Steel, Schoeller Bleckmann, Salzgitter Mannesmann Stainless Tubes, Tubacex etc. 304 stainless steel pipe price list, ss 304 pipe weight chart, 304 stainless steel pipe specifications, jindal ss 304 pipes price list, 304 stainless steel pipe weight per foot, ss 304 seamless pipe sizes, ss 304 pipe schedule chart, stainless steel tube manufacturers in mumbai, india, 304 stainless steel tubing sizes, 304 stainless steel tubing suppliers, a312 tp304 stainless pipe, a312 tp304 seamless pipes, a312 tp304 welded stainless steel, tp304 seamless stainless steel pipes, stainless steel 304 pressure pipe, stainless steel tp 304 sanitary tubing, stainless steel 304 mechanical tubing, seamless pipe astm a312 tp304, marine stainless steel 304 tubing suppliers in mumbai, india, tp304 seamless pipe manufacturer, austenitic TP304 seamless pipes for high pressure, prime quality tp304 stainless steel seamless pipes, 10mm stainless steel 304 tube, 40mm stainless steel 304 tube, astm a213 tp304 price in india, 304 stainless steel tubing price in mumbai, india, stainless steel 304 pipe price, 4 inch 304 stainless steel pipe price, schedule 40 stainless steel 304 pipe, polished stainless 304 tubing, stainless steel 304 schedule 40 pipe, schedule 10 stainless steel 304 pipe, 304 stainless coil tubing, stainless steel 304 coil tube, large diameter steel pipe manufacturers in india, erw stainless steel 304 pipe, A312 TP 304 precision stainless steel tubing suppliers.